Give2Attain: What to Do About Government Spending? What to Do About Government Spending? Now that the GOP has agreed to cut revenues and pass our bills to our children and grand children. Hopefully they will start reducing the spend as any mature responsible adult should. So Laurie and Jerry have very different views on spending, and I think we should aim for the long term target 1/3 government vs 2/3 personal split... I have provided some numbers to help. Thoughts? "Clinton’s ambitions are more moderate. She would increase taxes by roughly $1,500,000,000 over the next decade, while spending an additional $1,650,000,000." 1.65 / 10 = $160,000,000 per year - which is a smaller increase in magnitude than the $200,000,000 cut John would prefer. Jerry's radical views are not comparable to mine. I think the views that are comparable is my desire to moderately increase spending and your desire to moderately decrease spending, although you are proposing a greater change to the budget than I prefer. It is interesting how you wrongly place your viewpoint in the center. I find the American desire to over spend is at it's worst when they can have someone else pay the bill or if they delay the payment. the reason I support tax the rich is they have nearly all the money. Laurie, that is a fascinating article, but it strikes me as explaining the cause being produced by the result. That is, the rich get richer because they took the opportunities available to them. Setting up a labor union and demanding "full employment" ends up with /everybody/ losing their job to some poor schmuck in Singapore. And the rich now pay 80% or so of the taxes. How much more inequality would you like to see? "We as a country will be deeper in debt because of the tax cuts. A bill that some of us seem fine passing on to our children and grand children, just so we can pay a smaller bill ourselves while enjoying the benefits today. "So, in other words, if government doesn't pay for it, nobody else will? Isn't that by definition wasteful spending? And while I "care" just as much as you do about all those poor unfortunate deaths, and even more about the debt and deficit, there is a practical matter of arithmetic. Tax the rich at 100% and you MIGHT end the deficit for one year. You won't get another. So per your link... 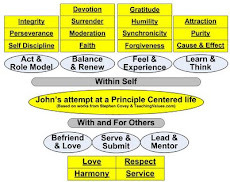 These are the contributing factors. Where does all of the American Consumers "choosing of their own free will" to spend their money on over seas products and services fit into your perspective? Or the desire by Liberals promoting the entry and retention of low skill low knowledge illegal workers who under cut legal American workers? Or both Liberals and Conservatives supporting the freedom of poor ineffectual mamas and papas to make many babies. My point being in our high tech world, people with little in the way of education and skills will be paid less? The federal government spends money on the military, health care, and social security. Meaningful spending cuts require us to cut these things. Bear in mind that cutting government spending doesn’t necessarily mean spending on these things will be cut. As even conservatives acknowledge, government is a redistribution of money scheme, and government is hardly the only scheme for redistribution of money out there. Please share with us these other redistribution schemes. I am particularly interested in ones where people are transferring money and not receiving something of equivalent benefit in their eyes. Others choose to pay for Cable TV, where as I have decided it does not offer enough value to my family to make it worth the expense. Funny. 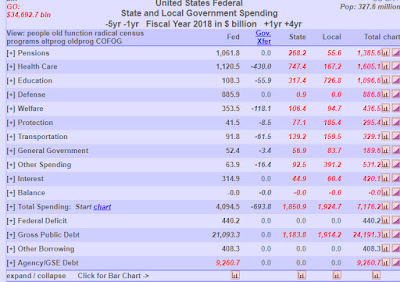 You are all talking as if Congress actually had CONTROL of government spending. Taxes, yes; spending, no. Not when well over 50% of the budget (and rapidly rising) consists of "entitlements" that will soon consume all tax revenues, and then go on to exceed them. We can probably radically cut discretionary spending (proposals welcome) and stave off the problem for a few months, but until those entitlements are completely reformed (and we still have a few years to transition) "what to do" is not really one of our choices. Well the GOP had a year to work on reducing spending, instead they worked on repealing ACA and passing a tax cut. Neither action was supported by the majority of Americans. And even now we don't have a budget for this coming year. And yes Congress and the President can change the entitlement programs, however they are also loved by most people so that will be a hard pull. That is why they keep procrastinating. As for the unsustainable growth of entitlement. "Democrats will remain adamantly opposed to cutting a dime from any program." That's not true. The ACA reduced Medicare spending by ending arrangements with Medicare Advantage providers who couldn't service their customers more cheaply than the base program could. Obama offered a switch to "chained CPI" -- a lower rate of COLA for Social Security -- as part of the failed "Grand Bargain". And those are but a few examples. I am not so sure that the DEMs agreed with Obama regarding SS. Did Chained CPI ever get passed? Sean, you may be correct in the particulars, but what matters are things like that ad showing Paul Ryan shoving granny over the cliff in her wheelchair. The Democrats will always seek political advantage in such lying, emotional appeals, and Republicans are scared witless by them, so neither side will take the steps needed to restore fiscal sanity to Washington. We're doomed, and time for an easy transition is about gone. It's really a shame, because the solutions are not policy-wise that difficult; they're just politically impossible in the current climate and I guess we're going to have to wait for the collapse to drive the search for solutions. And that will hurt. "I am not so sure that the DEMs agreed with Obama regarding SS. Did Chained CPI ever get passed?" Not all of them agreed, to be sure, but Pelosi and Reid were willing to accept Chained CPI as part of a larger deal. When the "Grand Bargain" fell through, Chained CPI went off the table (for Social Security). The tax reform bill uses Chained CPI for adjusting the tax brackets on a yearly basis (instead of traditional CPI). This is effectively a tax increase for many taxpayers, as contractual pay increases are frequently tied to traditional CPI. Over time, this will create "bracket creep", as more people end up higher in the higher-taxed brackets. "Sean, you may be correct in the particulars, but what matters are things like that ad showing Paul Ryan shoving granny over the cliff in her wheelchair." Republicans do the same sort of scare-mongering -- the Medicare Advantage changes were used in campaign ads by Romney in 2012 (even though every single one of Paul Ryan's budgets -- before and after said campaign -- have kept the cuts). So are we agreement that citizens really like their entitlements, so both sides will use them to their political advantage. Therefore it is unlikely any significant spending cuts will occur in those areas? If so, the problems still exist. People like paying less in taxes and getting more back... What now? "Therefore it is unlikely any significant spending cuts will occur in those areas?" The size of the problem dictates that there will need to be spending cuts. The problem, of course, is that future generations are going to have to pay for the mess that was left to them. It seems that elimination of the unpopular health care mandate will result in the redistribution of wealth from the middle class to the wealthy. That’s because the subsidies remain unchanged. "In reality, nearly all of the taxes and other provisions to pay for the law remain. That includes two taxes Obamacare imposed on people earning more than $200,000 a year: A 3.8% surtax on the investment income, and a 0.9% increase in Medicare taxes, which combined would raise $230 billion over the coming decade. Trump had included the investment tax on a one-page set of guidelines for the tax overhaul released in April with much fanfare, but it never made it into the final bill. Indeed, of 14 “Obamacare tax increases” that Americans for Tax Reform said in a July news release would be repealed by a Senate health insurance overhaul that failed, nearly all remain." As an article in the Times pointed out, ending the mandate increases the role of government in health care. Premium increases for the poor are covered by subsidy increases paid for by the mildly class. The cost of freedom from mandates isn’t cheap, and in this case it’s paid for by a lot of Trump supporters. "ending the mandate increases the role of government in health care"
Now I support the mandate that everyone be insured, but that certainly is government taking a very strong and legislative role. Maybe I should point out that the mandate repeal was in the budget because it SAVES a few hundred billion dollars? Theory being that without the mandate, some people will not sign up and their subsidies won't need to be paid. It seems counterintuitive, that people would not willingly take free stuff, but of course it seems counterintuitive that people would pay out good money to NOT buy something they supposedly need, yet millions do so. Maybe government is not smarter than everybody at deciding how best to spend their own money? As usual... Source please. "it SAVES a few hundred billion dollars"
My guess is that Hiram's opinion is closer to reality. Healthier people opt out and pass their risk on to us tax payers. And us tax payers end up paying more for a "higher risk" ACA insurance pool. To the basic question, quit assuming that if government does not spend the money, but leaves it in the hands of those who earned it, that it will be misspent. More likely, it will be spent on something the taxpayer needs and wants, rather than what government thinks is best, bringing greater efficacy to the spending. Since Avik Roy the Opinion writer seems to be pretty right leaning. I will probably need to do some checking. Now as for trusting people to make good decisions... Checkout these median net worth numbers. I would say that at least half of the USA'a population has made some very unwise decisions. Here is the latest CBO Estimate Document. It looks like you are correct about the $338 Billion over 10 years. Of course the downside is because more people will be uninsured... Meaning that they will passing their risk on to us. 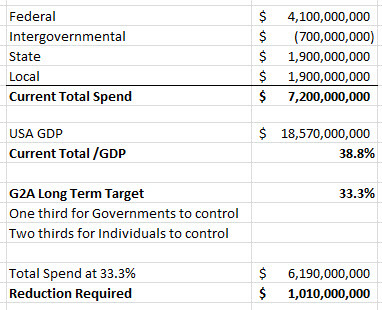 ■ Federal budget deficits would be reduced by about $338 billion between 2018 and 2027 (see Table 1). ■ The number of people with health insurance would decrease by 4 million in 2019 and 13 million in 2027 (see Table 2). ■ Nongroup insurance markets would continue to be stable in almost all areas of the country throughout the coming decade. ■ Average premiums in the nongroup market would increase by about 10 percent in most years of the decade (with no changes in the ages of people purchasing insurance accounted for) relative to CBO’s baseline projections. Those effects would occur mainly because healthier people would be less likely to obtain insurance and because, especially in the non group market, the resulting increases in premiums would cause more people to not purchase insurance. Looking at Avik's summary of this CBO document. I would say he is somewhat intentionally misleading the readers. "CBO believed that approximately 16 million people would voluntarily drop out of the insurance markets without a mandate, and that the majority of those dropouts would occur in Medicaid and the employer-based health insurance market, not the Obamacare exchanges." Table 2 refutes this. And it clarifies that the drop would occur over 10 years. Though he does note the new numbers later. "On November 8, CBO published an updated estimate of the impact that repealing Obamacare’s individual mandate would have on the deficit and on health insurance coverage. Under the new estimates, coverage would decline by 13 million in 2026, not 16 million, and the ten-year deficit reduction would be $338 billion ($307 billion in spending reductions and $31 billion in increased tax revenues) instead of $416 billion." "Meaning that they will passing their risk on to us." There you go making that assumption again. Suppose somebody offered you a new Mercedes for 20% of list price. Setting suspicions aside, now suppose they withdrew the offer. Would you still buy a Mercedes? No, nor would you be out of transportation options. 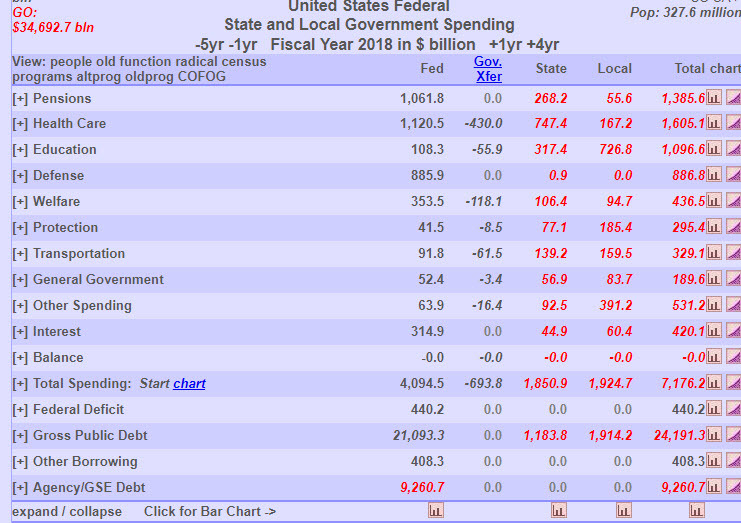 Just because government provides doesn't mean it provides the just what you want, need and can afford, and they do it with somebody else's money-- the LEAST efficacious spending. Considering Obamacare was supposed to insure 48 million people, I don't know if I trust that 16/13 million of the 12 million now covered will "lose insurance." It seems the CBO did pretty well considering all the States who choose to not expend Medicaid. People often rationalize that "it won't happen to me", especially young people. Especially when to manage the risk is expensive and they have things they want to buy / do. I mean look at how many people did not save / invest when they are young and now have less that $40,000 in the bank at retirement. The reality is that many people simply can not or will not buy good quality health insurance without a mandate of some sort. Then bad things will happen, they won't have the money to pay the bills and society will absorb the cost in one way or another. By the way, the ACA insurance requirements are pretty Chevy like... No Mercedes or Cadillacs there. Fine. Somebody offers to sell you a new Chevy at 80% off, then withdraws the offer before you get it. Are you without transportation options? Again, the whole point here is economic freedom. What government spends cannot be spent by the individuals most affected by how their money is spent. That basic hierarchy of spending efficacy still applies. -- The most efficacious spending is when you spend your money on yourself. You know what you need and want and can afford, and can choose among competing alternatives. -- the second is when you spend somebody else's money on yourself. You won't be inclined to "blow it," and you will seek good value and prioritize, but it may not be something you would not or could not buy for yourself under normal circumstances. And that's OK. It's like charity. -- third is when you spend your money on somebody else. You are going to try to get something that you can afford and that you THINK they need or want but would not necessarily buy for themselves. You may even come pretty close, especially if you ask them first. -- The least efficacious way to spend money is when you spend somebody else's money on a third party. This is government spending. You don't care how much you spend or what you get. If it is several somebodies you are likely to get the same thing for all, regardless of what they individually may need or want. The only way to do what you want to do-- protect people from themselves-- is to offer them incentives to do the right things, and a true "safety net" -- not a hammock-- for those who are /unable/ to do it. Suppose, for example, there were no tax on savings and investments, until that money was withdrawn? EVERY savings and investment account would be an IRA. And suppose everybody below a certain income threshold got a check from the government to start an HSA policy that they chose? Government should not, in general, be deciding for YOU how to spend your money. And they could save trillions by not doing so. As noted above, the lack of net worth for a majority of Americans pretty much proves that American know what they want... And that they truly do NOT KNOW WHAT THEY NEED. "You know what you need and want and can afford, and can choose among competing alternatives." Thinking long term and being willing to sacrifice today for a better tomorrow is really hard for most people apparently. So, people "DO NOT KNOW WHAT THEY NEED"? Might that be because, all of their lives, they have been told that they are "investing" in Social Security and that it will "be there for them"? And that they will be taxed if they invest outside of SS? And that's why 401Ks and IRAs get funded. So who are we blaming when people don't save enough, those who tried to fund their own but also paid into the Ponzi scheme, or those who relied solely on the /mandatory/ Ponzi scheme? Here's an idea about "what to do about government spending." I created a poster a while back, showing a then-6-month-old girl, with the caption, "She is currently in debt to the federal government for $400,000 and can't find a job." If people knew that our government had so wildly over-promised and was headed for ruin, perhaps there would be a greater desire to curb spending. Or maybe the cheap skates would actually stop trying to lower their personal taxes, and actually pay today's bills today. I have been having a similar discussion at MP Have GOP met their ACA Moment? This would imply that these people had enough drive, self discipline, knowledge, etc to actually make a decision. My opinion is that without forced savings (payroll taxes) they would have nothing coming in later in life. I have a couple of good friends who have pretty much no self control and/or ambition, if it wasn't for SS, SSD and Medicare their golden years would be really bleak. Their golden years are liable to be pretty bleak, regardless. Once the federal tax rate exceeds 100%, as it will have to do to keep all of these sky-high promises going, living is going to get very tough. And I don't think you can stand there and deny that others have enough "drive, self discipline, knowledge, etc to actually make a decision," and then deny that nobody else deserves that freedom. For example, If SS went away in favor of private accounts AND we continued to mandate that SS taxes went into those private accounts, you solve both problems-- having enough at retirement and (partially) ending the massive government spending spree. I think the solution will be simpler... At some time they will just means test who gets social security and medicare. If your net worth is ~$10+ million, no checks or Medicare for you. Of course, I can claim that many Americans do not "have the drive, self discipline, knowledge, etc to actually" be trusted to prepare adequately for their own retirement... History is on my side in this. I think the solution is simpler still. Get rid of SS and MC forever, and let people be responsible for themselves. Otherwise, you push out the date of bankruptcy a few years, at best. You are missing the magnitude of the problem. It is estimated that entitlements will consume 100% of federal revenues as early as 2025. History may be on your side, but history is an amoral beast. I sense you are denying to others the freedom you claim for yourself, based on ? You have stated previously that you "accidentally" had opportunities others did not have, and profited by them. Why would you deny others that freedom and opportunity? I am not denying them freedom or opportunity. I am ensuring that we continue to set aside a portion of today's income to care for the irresponsible who have little foresight or self control... People are free to learn, work, earn, save and invest on top of this. "Social Security, Medicare and Medicaid are three of the largest and fastest growing parts of the budget. As recently as the year 2000, those three programs cost only $700 billion, or about 7 percent of the economy. Today they cost nearly $2 trillion, about 10 percent of the economy. By 2050, as a result of an aging population, rising health costs and growing benefit levels, Social Security, Medicare and Medicaid will spend 15 percent of the economy. This trajectory is unsustainable. No program can indefinitely grow faster than the economy, just like no household or business expenses can indefinitely grow faster than household income or business revenue." "If your net worth is ~$3+ million, no checks or Medicare for you." Please remember that Congress and the President can change the rules at any time. And if the GOP alienates most voters who have little net worth, and the DEMS stop being extremists who want to save everyone and everything... The DEMs will be in control. These programs are simply unsustainable in anything like their current form, and time for an easy transition to a more sensible system is quickly running out. Don't look at these entitlements as a fraction of GDP, look at it as a fraction of federal revenues. By that measure, 2025 is the drop-dead date for all of these programs. Rich people do not get benefits until they are middle class? We pay the SS Trust fund bonds off and borrow from someone else. The GOP and DEMs both seem to have no problem with deficits. And the Chinese seem to enjoy buying US bonds. And recognizing these awful truths solves the problem how? Probably deny benefits to people with net worths greater than $10 million. It just seems sill that they are receiving government welfare. Not a solution. That is what will happen anyway, unless the system is reformed-- we will raise taxes and cut benefits, and put off the day of reckoning, just as we did the last time SS was "fixed for all time." When the "trust fund" runs out of money, benefits will get cut for everybody, and it will continue to get worse. And none of that does ANYTHING for the other, and larger, "promissory notes" Congress has written against our bank account. You asked "what to do," did you not? The first step in solving a problem is to admit that there IS a problem, and so far our elders and betters in DC have done everything BUT admit the problem. The next step after that is to identify the problem clearly (usually framed as "runaway entitlements," but any naming is better than the false feelgoods we are being peddled). Again, from Prof. Hill, "Either you are closing your eyes to a situation you do not wish to acknowledge, or you are not aware of the caliber of disaster indicated by..." simple math. Did GOP Have Their ACA Moment? What Would Make Americans Happy? Are You A Self Made Person? Net Neutrality: Good or Bad?